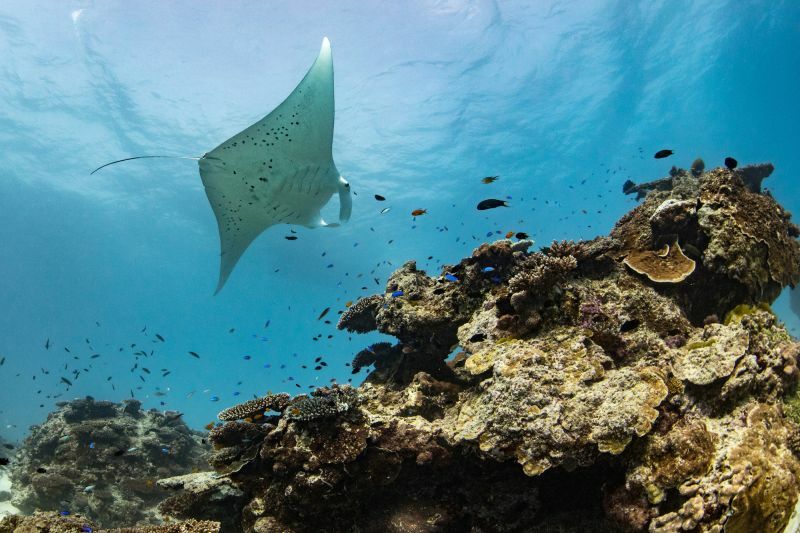 Lady Elliot Island is known as ‘Home of the Manta Ray' and is a major hotspot for Manta Rays in Eastern Australia. Manta Rays can be found all year round on Lady Elliot Island, with numbers peaking during the winter season (mid May to mid – August). On Lady Elliot, these gentle giants are commonly encountered while diving popular ‘cleaning stations’ around the reef, but also offer amazing memories for snorkelers who happen to be in the water during ‘feeding frenzies’. It is very common to see large groups of manta rays feed at the surface around the Island when the conditions are favourable and plankton is abundant! Despite their size, Manta Rays are harmless giants. Their tail is short and they do not have a stinging barb. Moreover, Manta Rays only possess a narrow band of minute teeth that are only used as part of their courtship and mating behaviour. As a result, Manta Rays typically rely on their large size and swimming abilities as a principle means of defence. Manta Rays have the largest brain to body size ratio of any living fish and are very aware and interactive with divers and snorkelers. Their inquisitive nature makes them popular at our ‘Lighthouse Bommie’ site with incredible breathtaking underwater encounters on a daily basis! 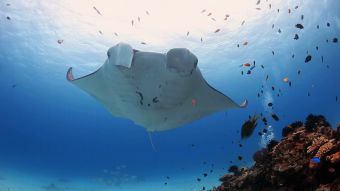 Project Manta: Lady Elliot Island regularly hosts the University of Queensland's Project Manta research team. 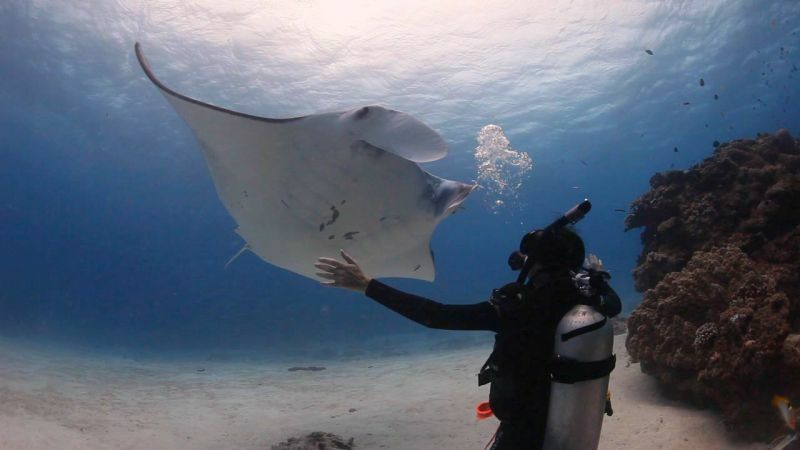 Project Manta encourages divers to get involved by reporting their sightings along the Eastern seaboard of Australia to gain further insight into the species. Guests on Lady Elliot Island are encouraged to use the new laptop in the Education Centre to upload and send their photos of Manta Rays to the Project Manta Team for identification. See Project Manta for more information.